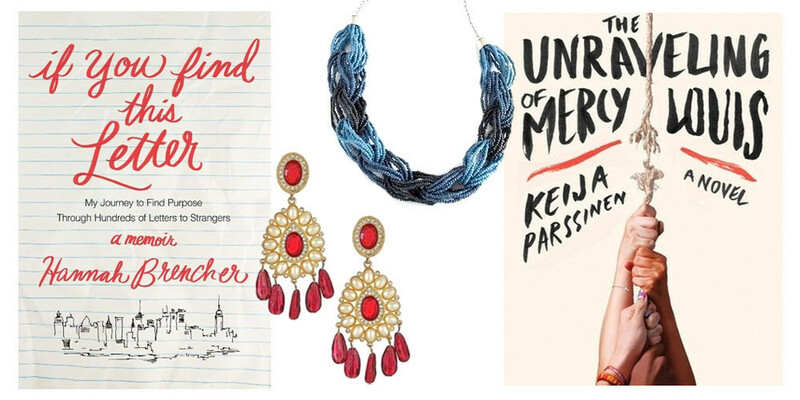 Peruse our picks from this month's new releases, then shop the beauty and fashion finds inspired by our chosen reads. We're bookworms here at StyleBistro, and we understand that finding your next great read can sometimes be as frustrating as searching for a special-occasion outfit—they never seem to materialize when you actually need one. We also know how inspiring the written word can be, which is why we combed through this month's new releases and paired our top picks with a beauty or fashion item that corresponds to each tome. Be sure to check back each month for a fresh batch of stylish reads. 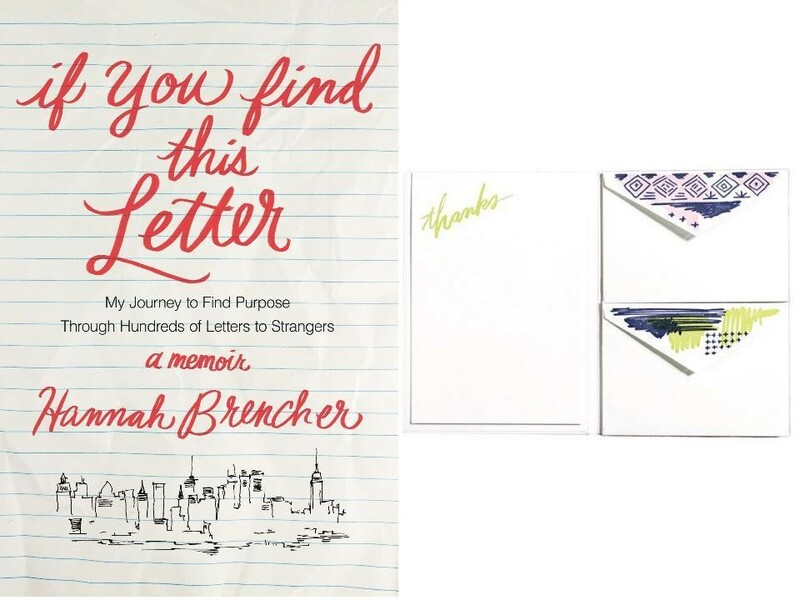 As a stationery buff and devotee to the lost art of personal snail mail, I was intrigued to read Hannah Brencher's memoir detailing how—and why—she started leaving love letters to strangers all around New York City shortly after moving to the Big Apple as a recent college grad. The answer is far more poetically told and enriching to read in Brencher's own words, as she takes you on a journey of self discovery, grappling to find her place and purpose in the world, as well as define her spiritual relationship with God. You'll finish the book with a rosier outlook on humanity and may even be inspired to perform random acts of kindness like the founder of The World Needs More Love Letters movement. For those moments when you're stirred to spread love on the fly, I've selected Moglea's unique Letterquette folder, which includes 12 letterpressed sheets and matching envelopes that you can rip out and write on whenever the mood strikes. The glitz and glam of Hollywood isn’t all it’s cracked up to be—at least not when you get caught up in the wrong crowd and entangled in a major drug-smuggling scandal. 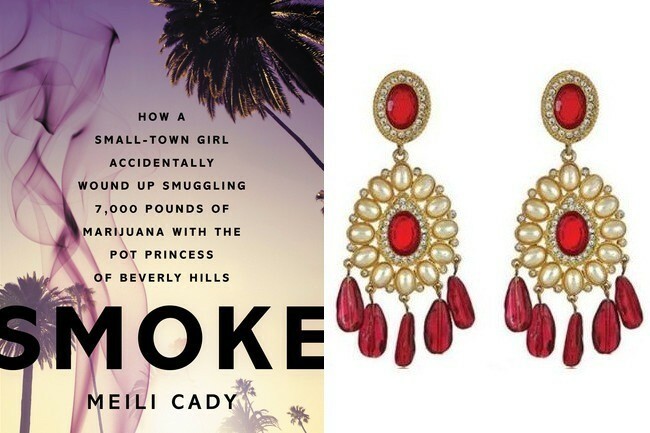 Based on a true story, Smoke is aspiring actress Meili Cady’s account of moving to Los Angeles, befriending a Korean heiress and helping her transport millions of dollars worth of marijuana into the Midwest. Before her life took such a dramatic plot twist, Cady recounts growing up in a small town in Washington and only feeling beautiful when she put on her mom’s Christmas earrings. We tracked down a similar festive pair to adorn yourself with all year round. 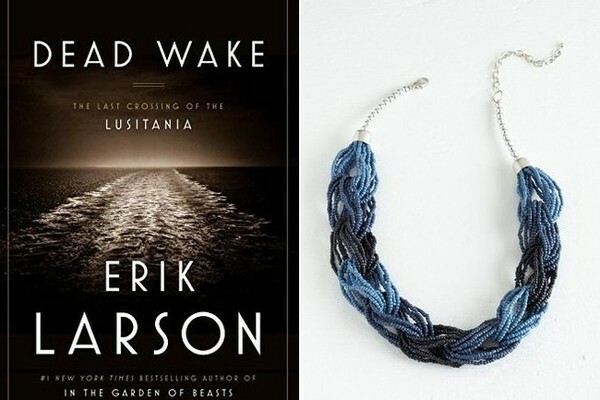 Author Erik Larson is a master at writing gripping non-fiction books that read like thrilling novels, and Dead Wake carries on his tradition of owning this genre. This engrossing book is an in-depth look at the true events that led to the tragic sinking of passenger ship The Lusitania. Larson doesn't simply recount history, he paints a picture of the time in which this event unfolded—in 1915 during the heart of the Progressive Era, a time of social and political reform in America. In the book, we meet passengers, a German captain bent on sinking the unsinkable ship and other vivid characters who really lived these events. It was difficult to choose a product to align with such a tragic story but this gorgeous, beaded necklace in varying shades of blue calls to mind the ocean and stands as reminder of this historical event. Did you know that at any one time approximately 50 percent of the global population is wearing jeans? Since denim plays such a huge role in fashion, it only makes sense that someone would highlight the main players. 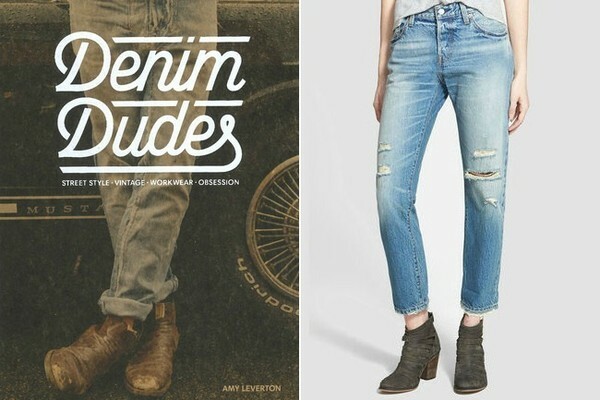 Amy Leverton’s book Denim Dudes puts a spotlight on the men in the industry—like Bart Sights, director of global development for Levi’s—and other non-industry gentlemen with covetable style to perpetuate a love of denim all over the world. From Europe to Australia, the international jean-aficionados share their thoughts on the workwear staple and provide anecdotes on how it became a huge part of their lives. For anyone who adores browsing street style images, this book is filled to the brim with gorgeous photography of the guys and their duds. To honor the denim dudes, I’m borrowing from the boys with a classic pair of Levi’s 501 Boyfriend Jeans ($98). Although this book is about the fellows, ladies shouldn't feel left out just yet—Leverton’s next book, Denim Dudettes, will be all about the babes of bluejeans! Calling all fans of The Scarlet Letter, The Crucible and even most recently the hilarious yet sharp Easy A, The Unraveling of Mercy Louis needs a spot on your book shelf. Set in the small town of Port Sabine, Texas, this story follows the lives of two young girls: the town's star athlete and impeccably moral Mercy Louis, and Illa Stark, the frail wallflower and photographer. When the story opens with a town tragedy, we learn more about life in the religious and often scrutinizing Southeastern Texas town, as well as the hidden demons that haunt it. As Mercy and Illa share their versions of the accounts, we see the mysteries of Port Sabine unfold and the coming of age of two very different young women—who might not be as different as they once thought. This thought-provoking novel recalls the likes of Nathaniel Hawthorne and Arthur Miller with its moral tension and microscopic look into a small town in Texas and the girls who call it home. Naturally, as a fan of such classics (and admittedly, Easy A), I couldn't help but liken this novel to a modern day Scarlet Letter, thus provoking me to reimagine what today's "scarlet letter" would look like. 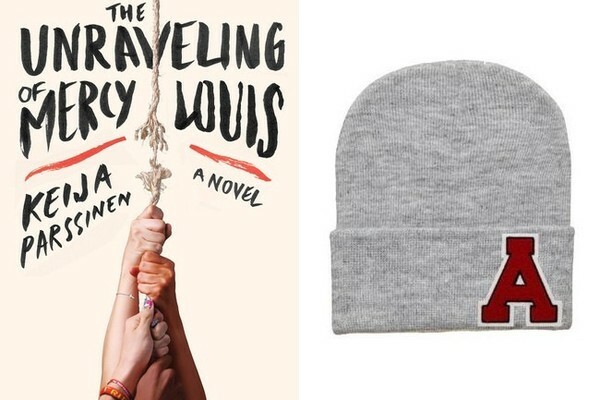 Using Bow and Drape's design studio, I created this "A" embellished beanie ($28) to capture the story's literary references—in one stylish topper, mind you. I know what you're thinking: another book about Chanel? As one of the most iconic and admired figures of fashion, the designer has already had plenty written about her. 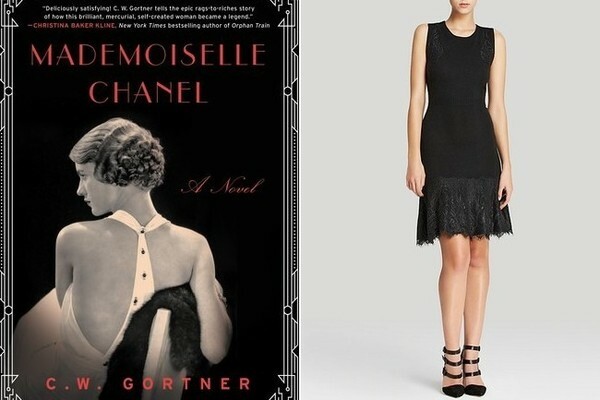 Mademoiselle Chanel isn't like other things you've read, however. This novel is written in first person, telling Gabrielle Chanel's history in her own imagined voice and perspective. It begins with Chanel's early years in a convent orphanage, where she learned to sew, and goes through her life in high society, war-torn Paris and, of course, the establishment of her legendary fashion house. In one chapter chronicling her Deauville boutique opening in 1913, a customer questions her minimalist aesthetic, which was then a huge departure from the ornate, corseted designs of decades before. Chanel responded, "Each woman is unique by nature, why must her clothing be, when by the very act of wearing it, she herself makes it so? My clothes are designed so that you...will be seen first." Pay homage to the originator of the Little Black Dress and allow yourself to "be seen" in an LBD as classic and timeless as Chanel herself. There's a reason self-help books are quite popular. As a society, many folks are on a mission to find more happiness in their lives. There are some people who have found joy but are forever on the hunt to find more meaning—myself included. Author Gretchen Rubin must feel the same way. 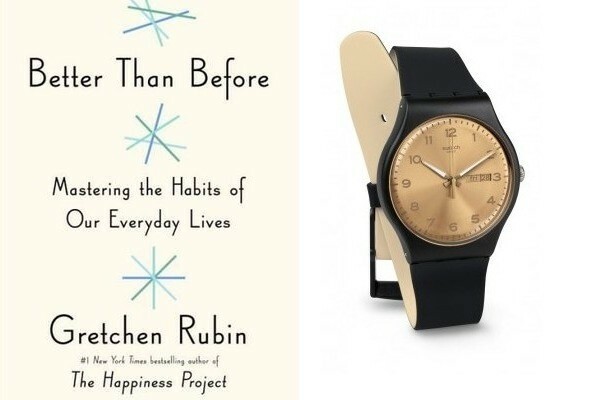 Already a New York Times bestseller with The Happiness Project, she's releasing her second book, Better Than Before: Mastering the Habits of our Everyday Lives, this month. With her witty anecdotes, she helps the reader identify problematic habits and offers ways to change them. Don't think you have any bad habits? Rubin tackles this mindset and takes the reader on a road of discovery. For me, routine brings about good habits. The more structured I keep my time, the more fulfilled I feel. The Golden Friend Swatch watch ($70) is fashionable and keeps me at the right pace on the right path.